More than just a health food store. 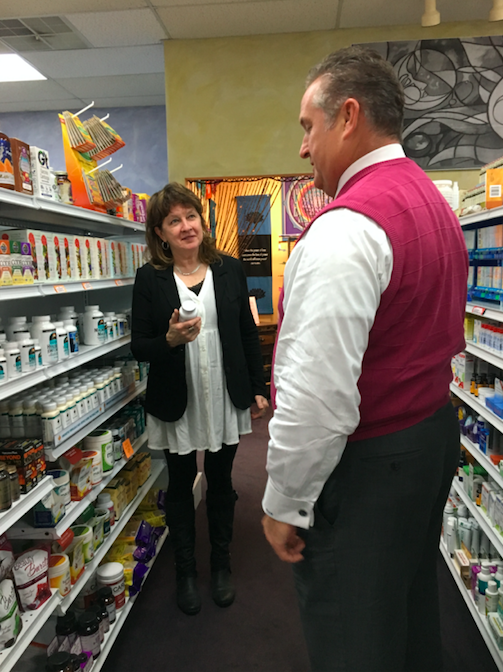 For many…a place to buy supplements and gain knowledge. For some…a way to connect with like minded people and escape the everyday. For others: a haven to share a laugh, learn new dance moves, and enjoy a little organic chocolate. Your source for quality Vitamins, Supplements, Essential Oils, Gluten Free Foods and More in a family friendly environment. Monday through Saturday, we are here to serve. Stop by and see us soon, we are just east of US 23 (Silver Lake Rd. Exit #79) in the Classic Corners Plaza. Available on premises. 23 years of experience. Evelyn’s smile helps cure what her hands cannot. 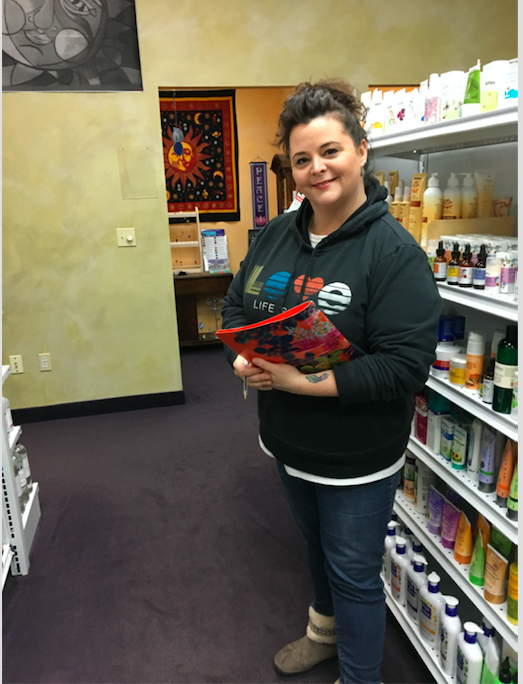 My name is Kathleen Barker and I am the very grateful owner of this lovely little shop that has the honor of helping people feel better. Nutrition Works is the result of a desire to share my passion for nutrition and natural healing. A 6-year struggle with infertility ignited my quest for knowledge about how the body works and what could be done to help it perform at optimum levels. The more I learned, the more I felt the need to share this information with others so in 2005 after raising my 3 beautiful children, Nutrition Works was born. Since then we have seen countless miracles walk through our doors and built many strong friendships with customers just like you. We understand that every single person is unique and that life is about balance, no judgment or lectures here, just a willingness to help you help yourself. Thank you for taking the time to learn a little bit about us, we truly care about your health and when you visit us in person I am sure you feel the difference all that loves makes. My name is Tracey Comis and I am very blessed to be the manager of this little family store. A former junk food aficionado who learned that life is much better on the healthy side of the fence, I began managing the store for my dear friend Kathy in 2008. We have always shared a similar vision of how a business should be run, with honesty, compassion, and fairness. 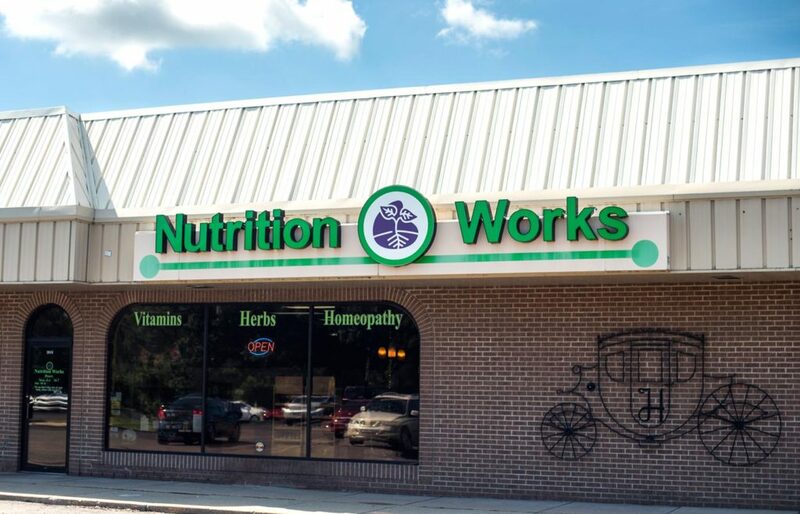 The love and intention we put into what we do makes Nutrition Works a store unlike any other. Our goal has never been to “sell” anything to anyone, our goal is to provide the best products, helpful staff, reference materials, and a comfortable place to visit while you figure it all out. Several people have mentioned that they enjoy coming here just to relax and enjoy the good vibes and others have commented on how much they learn because they “couldn’t help overhearing” our conversations. Comments like these make my heart sing as it is exactly what we have strived for, a place where anyone can feel at ease while exploring the many pathways to good health. 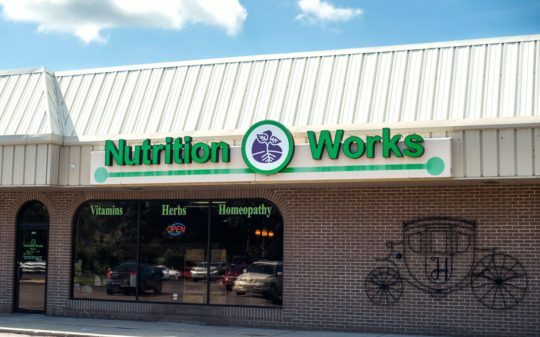 Welcome to Nutrition Works, we are here to help.